Indian Railways has ordered 1,000 of two types of new diesel locos from American loco builder GE Transportation in an order worth $2.5billion. The first of the 700 4,500hp diesel electric locos, designated ES43ACi by GE and Class WDG4G by Indian Railways, was handed over to Indian Railways in October 2017. The 100kph locos are mostly being assembled in India at the new GE/Indian Railways joint venture Diesel Locomotive Factory, Marhowra in Bihar State. They utilise a 12-cylinder GE GEVO engine, are designed for freight, and will replace older diesel locos. The first 40 were built by GE at Erie in the USA. Deliveries will continue until 2027/28. In addition, 300 of a more powerful 6,000hp design, designated ES57ACi by GE and Class WDG 6 by Indian Railways, will also be built at Marhowra. 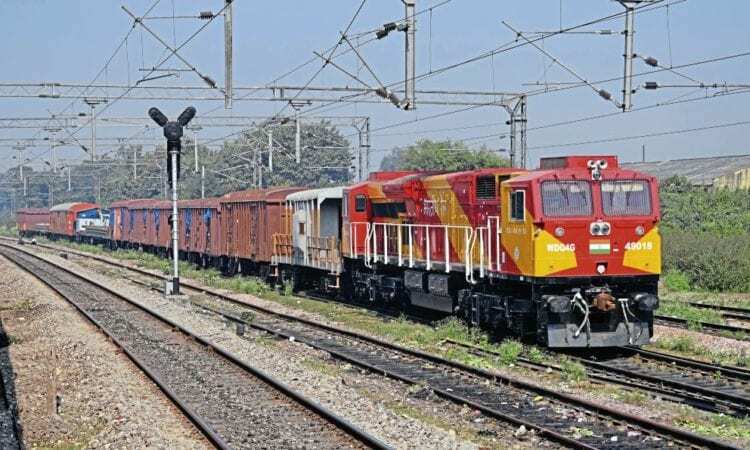 GE Transportation and Indian Railways have also established two maintenance depots for the new fleet at Roza, in Uttar Pradesh, and Gandhidham, in Gujarat. GE will be responsible for fleet maintenance until 2030 after which Indian Railways will take over responsibility. Since the locos were ordered in 2014 the Indian Government has announced ambitious plans to remove all diesel locos from use by electrifying the entire network by 2021. Whether or not that target proves to be practical the new GE diesel fleets will be retained for use when the overhead power is off and for any remaining non-electrified lines. Indian Railways has also announced its established diesel loco works in Patiala. Varanasi will cease production of new diesel locos in 2020 and switch to converting diesel-electric locos to electric-only locos, removing diesel engines and adding pantographs, transformers and new traction electronics.